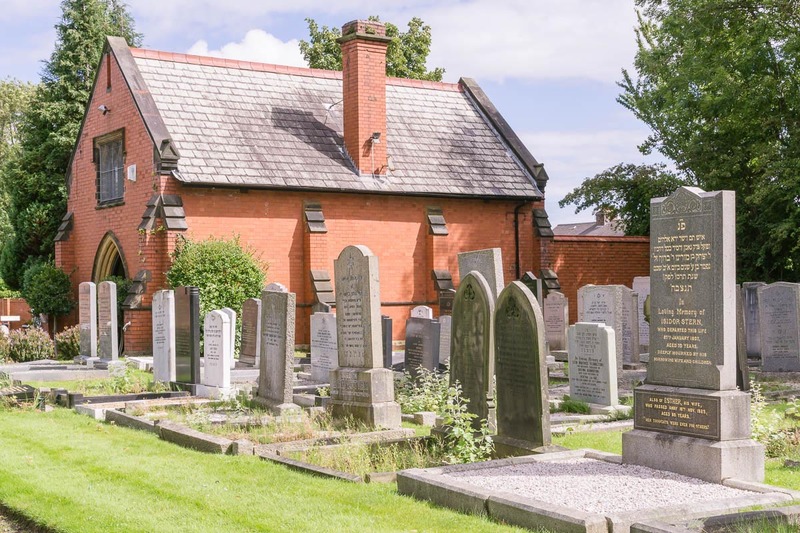 Location: As you go through the gate of the cemetery, there is a small red brick building on the left hand side (An Ohel – Prayer House). 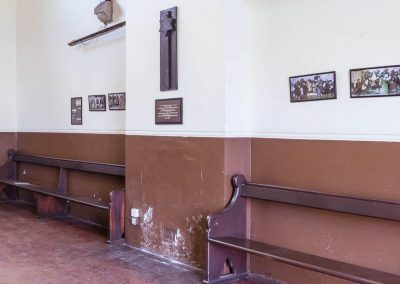 The cross is mounted on the wall on the right hand side. 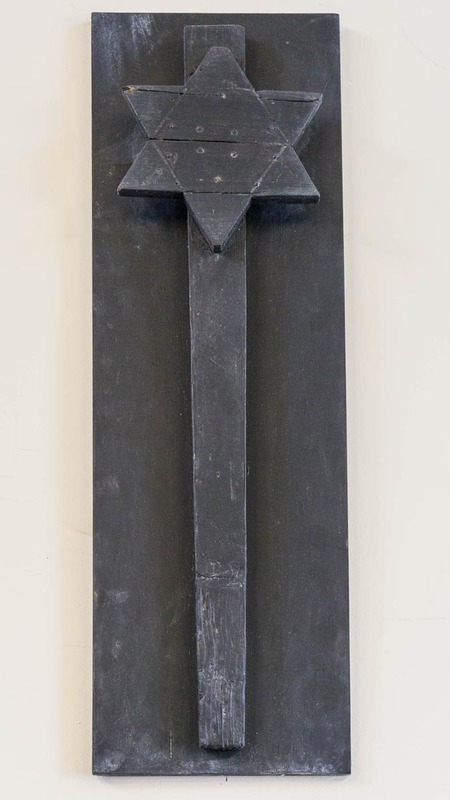 The cross has no details. 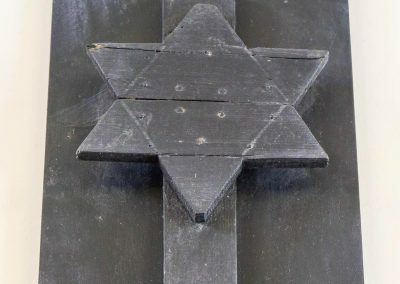 It is a wooden Star of David and is grey in colour. 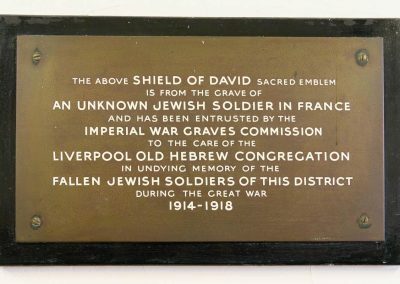 ‘The above SHIELD OF DAVID’ sacred emblem is from the grave of an UNKNOWN JEWISH SOLDIER IN FRANCE and has been entrusted by the IMPERIAL WAR GRAVES COMMISSION to the care of the LIVERPOOL OLD HEBREW CONGREGATION in undying memory of the FALLEN JEWISH SOLDIERS OF THIS DISTRICT during the Great War of 1914-1918. 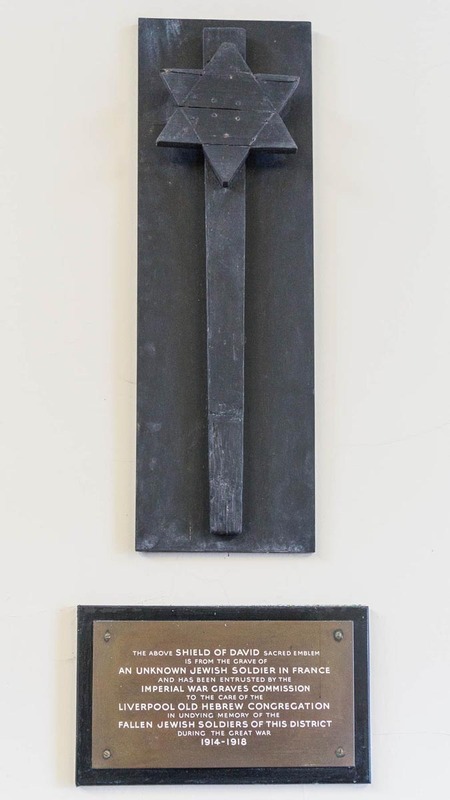 Unfortunately I was unable to obtain the dimensions as the cross was mounted quite high on the wall. 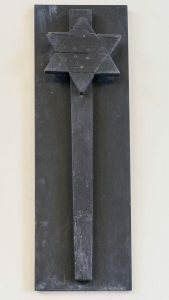 Mounting to wall: The cross is mounted on a plain grey wooden background and attached to the wall by screws. Evidence of use in field (earth marking, cracking, staining, shrinkage): as below. Surface insertion depth (into ground if apparent): There is discolouring and cracking of the wood which shows it has been inserted approx 250mm into the ground. 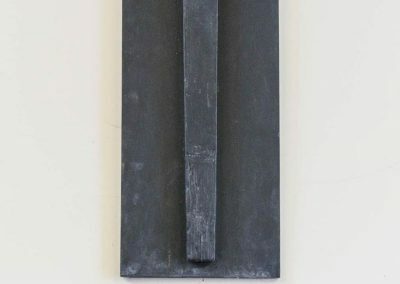 Finish (varnish, paint, oiled, unfinished etc): unfinished rough wood. 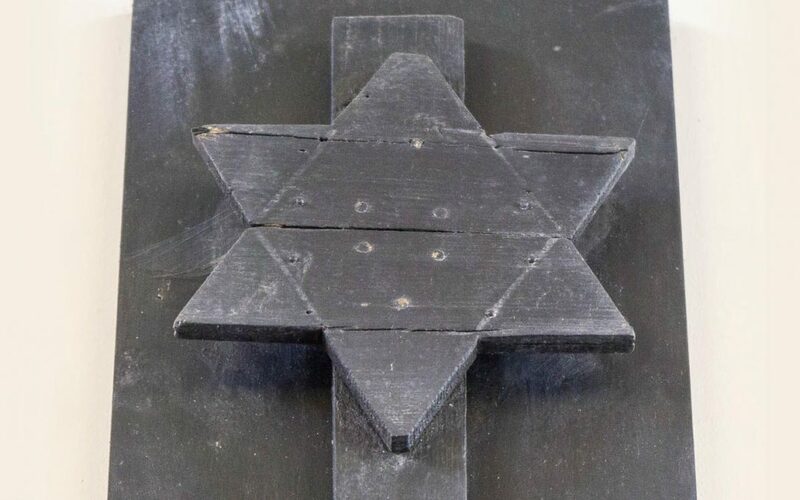 Condition (cracked, paint peeling, woodwork, damage etc): The Star of David itself has four visible cracks, and the cross is discoloured and cracked at the base where it has been in the ground. 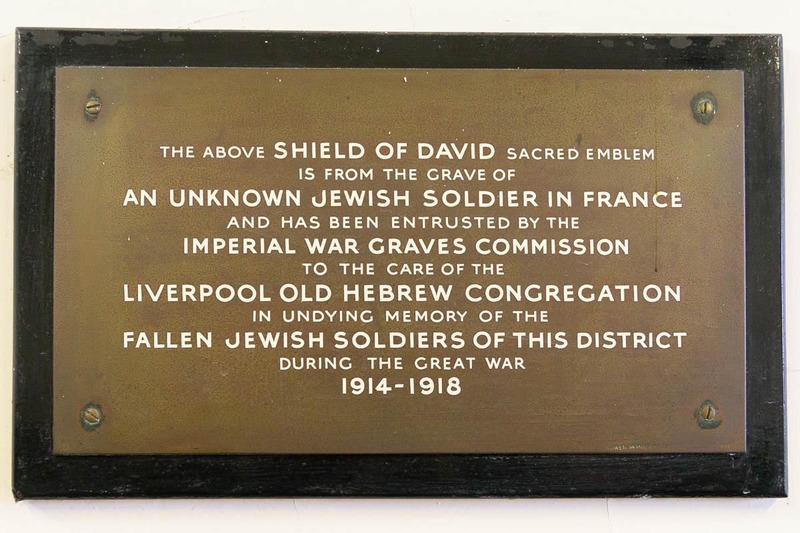 The cross is thought to be quite rare and is dedicated to an unknown Jewish soldier. 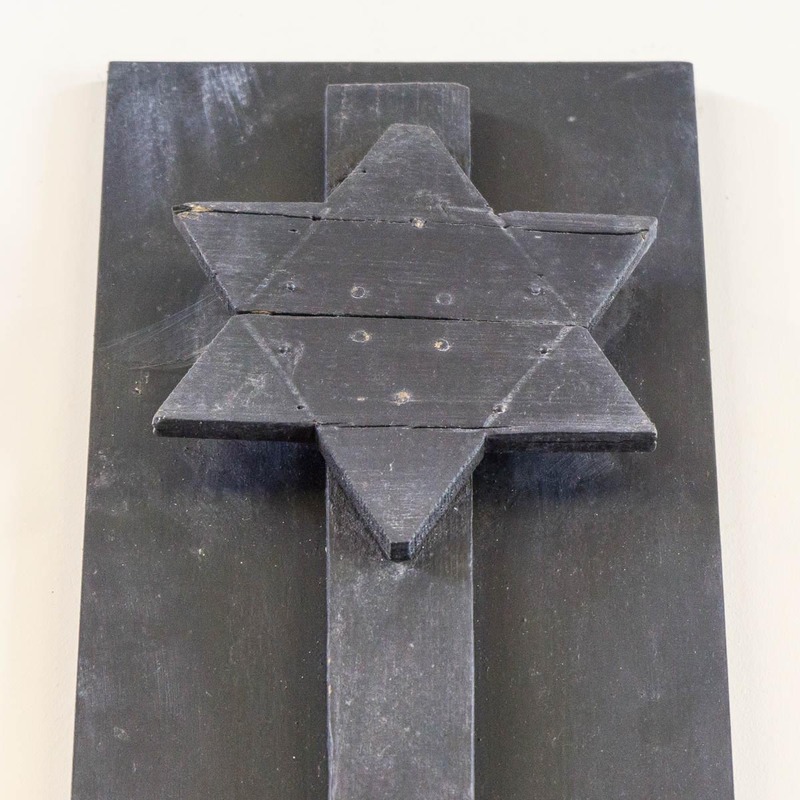 It was probably donated to the congregation as a symbolic memorial around 1930. 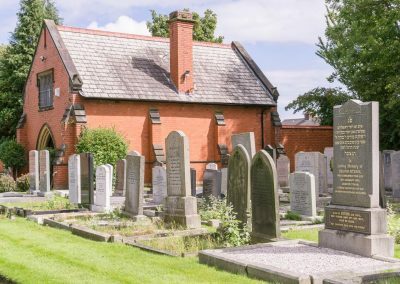 Broadgreen is the Princes Road Synagogue’s fourth cemetery of the Liverpool Old Hebrew congregation and was opened in 1904. 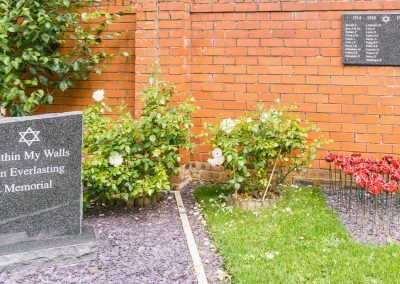 A new memorial garden was opened in 2014 to commemorate the hundredth anniversary of the start of WW1, and is dedicated to those who fell in both World Wars. 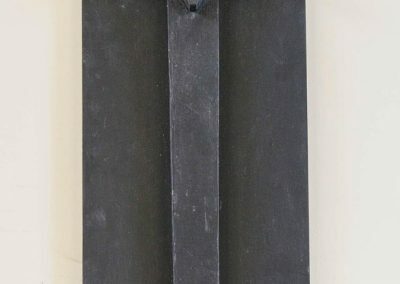 It is located just inside the main gate on the right hand side. 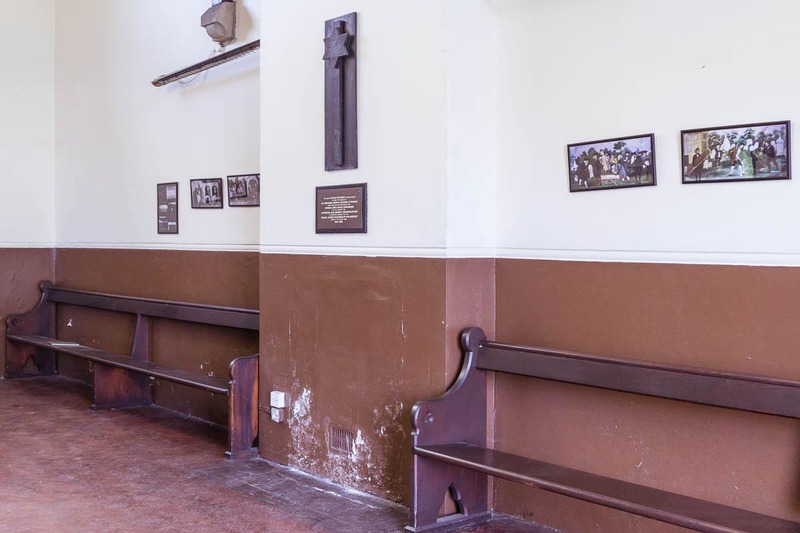 The site is rectangular in shape and consists of a free standing granite memorial with rough hewn edges (depicting lives cut short) and a plaque showing names of the fallen. 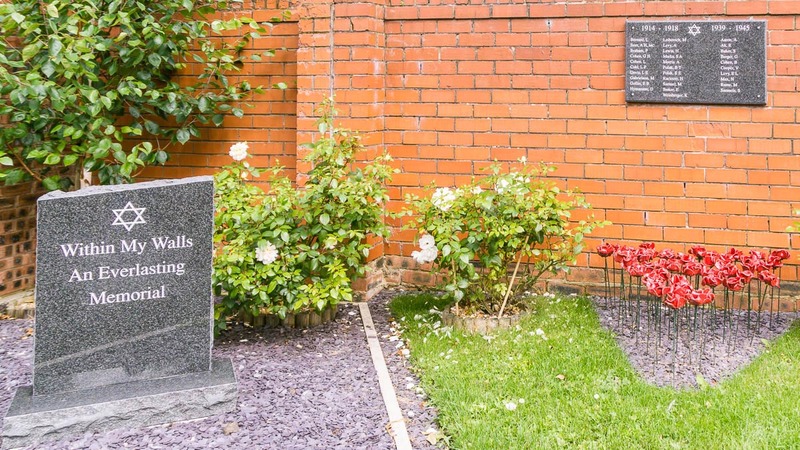 A silver birch tree, rose shrubs and ceramic poppies complete the garden. Survey and photographs courtesy of Bev Goodwin.